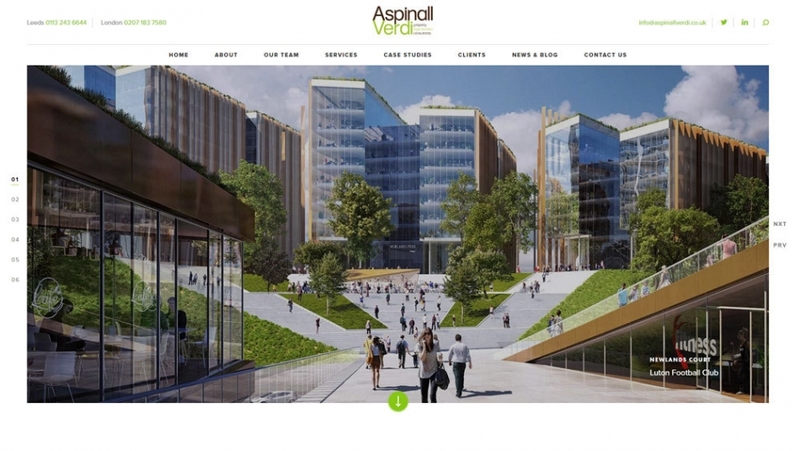 With offices in Leeds and London, AspinallVerdi provide expert advice and solutions for a range of regeneration, development and planning projects. AspinallVerdi came to us wanting a modern, new look and a CMS which would give them the ability to edit and update the website themselves. A major downfall of AspinallVerdi's previous website was the lack of freedom they had over what they could change without requiring help from a developer. Craft CMS was the perfect choice for their new website. Not only is it a robust, secure system but it also allows the team at AspinallVerdi to add, edit, update and remove pages whenever they'd like. The use-friendly layout and live preview features made Craft CMS an instant winner. 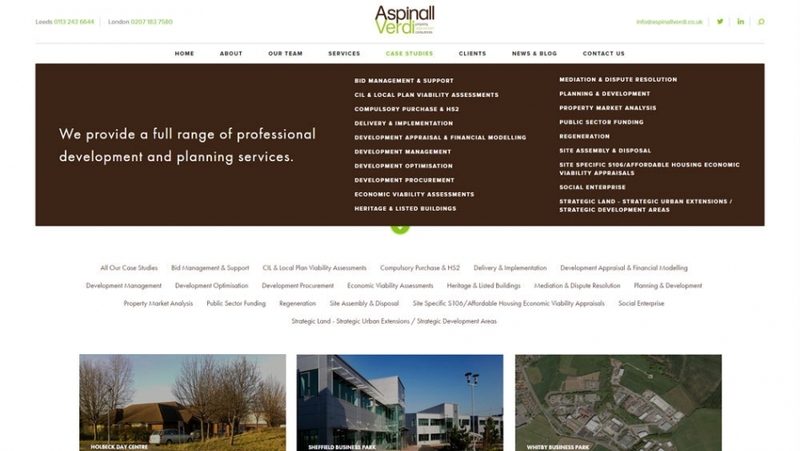 Craft CMS was the perfect choice for AspinallVerdi's modern new website. With a range of case study examples and company documents available for prospective clients, AspinallVerdi needed an easy and secure way of uploading downloadable content to their website. Our developers created a PDF upload feature specifically for AspinallVerdi's needs. This feature allows them to effortlessly upload company PDF documents to the website without needing any help from a developer. The PDFs can be renamed and removed directly from the administration area, giving AspinallVerdi complete control of the feature. Downloadable PDFs can easily be uploaded, edited & removed from the admin area. 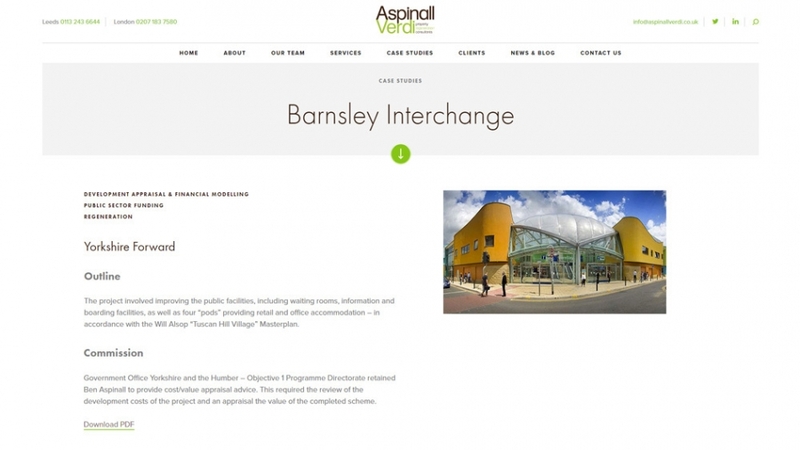 The new AspinallVerdi website uses a clear and detailed site structure, making it effortless for users to navigate around the website and instantly find the information they're looking for. 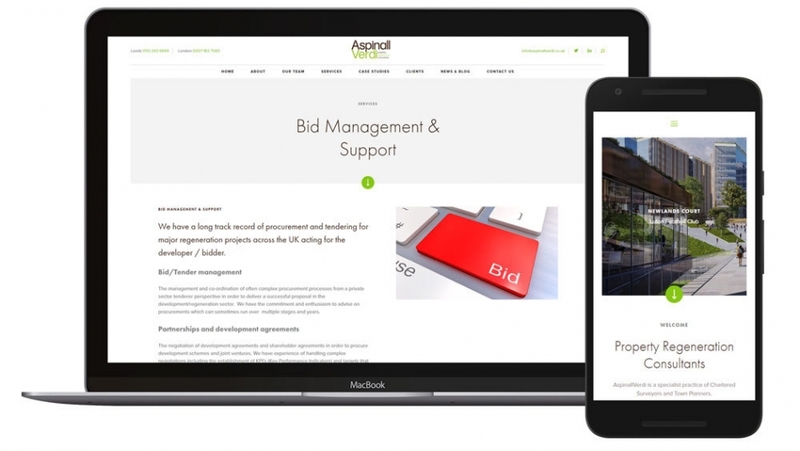 Our team ensured that the new website gave AspinallVerdi the freedom to manage their site's structure, including building the ability for them to link case studies and services pages. Clear drop down menus make the new website effortless to browse. To get ahead of their competitors, AspinallVerdi needed an eye catching and professional website which would instantly impress clients. Our team created a clean, modern design and used lots of banners and imagery to display a selection of AspinallVerdi's finest work. Consistent colours and fonts were used across the entire site to match their existing branding perfectly and create a uniform look. Our team designed and built the new website with mobiles in mind; making sure that the website adjusts instantly to show the perfect version for the device being used. The clear navigation and bold drop down menu ensures that prospective clients can easily travel through the various sections of the new website. The new responsive design makes the website accessible to any prospective client. 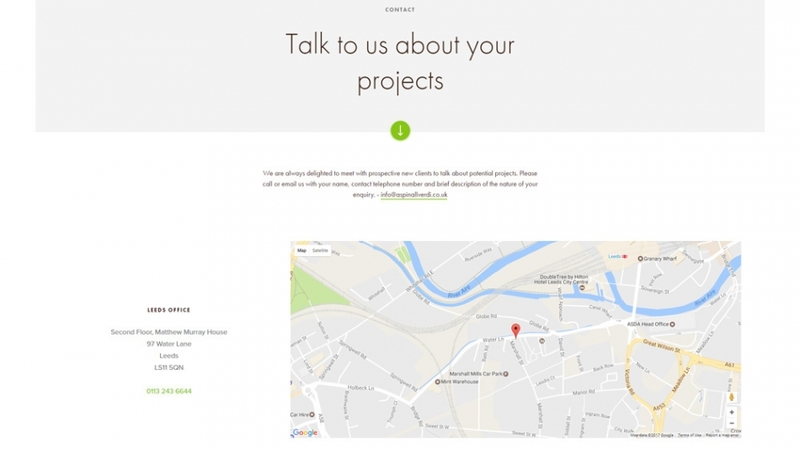 By integrating Google Maps with AspinallVerdi's new Craft CMS website, users can view and interact with their Leeds and London office locations. Like the rest of the website, the contact page has been extensively tested and expertly built to ensure that the maps work perfectly across all popular browsers and devices. Interactive maps & clear contact details make it easy for clients to get in touch.